The most difficult thing about selling online – in your Etsy shop or otherwise – is getting noticed amidst the slurry and noise of the online marketplace. In March alone, nearly 400,000 new members appeared on Etsy’s crowded streets. Unless you’re one of the lucky few to be chosen for the Etsy front page, promoting your site and getting the attention you deserve will always be a challenge. Social networking sites like Facebook or Twitter are a great way to connect on a personal level with your customers (or potential customers), but it can be daunting to set up a business presence. If you’ve been puzzled about how to best promote your business, Facebook Pages and ads may be your ticket to success. Facebook Pages are like a blog within Facebook for a specific topic, whether it be your business, Chinese Food Lovers or anything else you can imagine. Setting up a Facebook Page for your business is not quite like setting up a personal Facebook page (the capital Page is Facebook’s way to differentiate from normal user pages). Facebook Pages are designed to be administered from your own user account on the site – and you can have multiple users in charge of the same Page. Don’t worry about creating the Page with your personal account – this is for your convenience in managing the Page, your personal account won’t show up on the page. 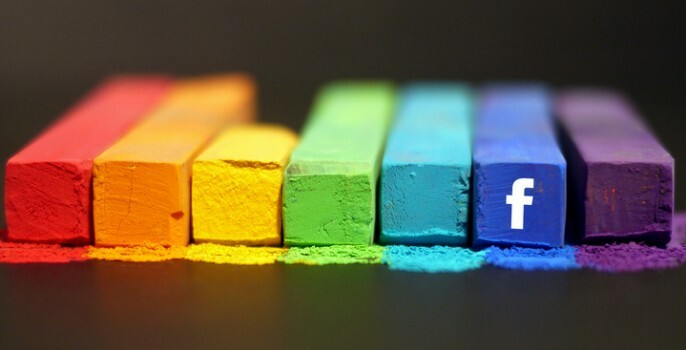 When is the right time to set up a Facebook page? The best benchmark is how ready you are to promote your items. If you’re still working to fill your shop with items rather than seeking promotion, it may be too early. The biggest benefit of a Facebook Page – interacting with customers – is also a drawback if you don’t have a few hours a week to devote to it. Make sure that you’re ready to commit to spending time with your fans before embarking on a social networking journey. Start off by going to the Facebook Create a Page site. Most Etsy artisans will want a “Brand or Product” page unless you have a local business storefront. Fill in the brand name and click ‘Get Started’ and your page is created! The first thing you’ll want to do is add a photo for your Page. I recommend using your business logo as the photo for your Facebook Page. A personal photo is endearing, but can often be hard to discern in the small thumbnail that appears when you’re posting or commenting. If you have a non-square logo like me you’ll have to play around with it to make sure it looks good as a thumbnail image. Your Page can be accessed when you login to Facebook from the “Ads and Pages” sidebar on the left (you may need to click ‘More’ under the list of items). 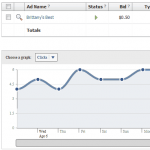 Facebook Ads are another interesting promotional tool – more on those later. Once your Facebook Page is created, the most useful way to manage it is in the cog pull-down in the upper right – selecting “Use Facebook as…” will log you in as your professional persona. This allows you to Like other pages as your business, post comments and get updates from Facebook as if you were logged in to a personal page. When you’re done, use the same menu to switch back to your personal page. Facebook tagging is a little-known feature that can help you cross-promote with other shops on Facebook. If you’ve “Liked” a person or Page on Facebook, you can use the @ symbol when making a status update to link to their profile in the update (such as @Brittany and selecting Brittany’s Best from the drop-down that appears – you did Like my page, didn’t you?). Using Facebook Pages tactfully can be a great way to get more interest and sales for your business. Desperate for Likes? Establishing a presence on Facebook for your company is a great first step, but what happens if you create the page and post interesting things and people still aren’t “Liking” your Page? Facebook Ads are an option to further promote your page and get new eyeballs to your updates and items. Facebook Ads show up on the right sidebar when you’re logged into Facebook (under the ‘Sponsored’ heading). For just a few dollars, you can try out the ads to see if you like the results. To create a Facebook ad, login to your page and then choose “Marketing” from the left toolbar. Select “Advertise with Facebook” and you’ll be presented with a dazzling array of options to design your ad. The Destination option lets you choose whether you’d like people clicking on the ad to be sent to your Facebook Page or an external website such as a blog or Etsy store. Having other destination options means that you can advertise on Facebook even if you aren’t ready to create a Page for your business just yet. Targeting lets you pick who the ad will be shown to – a great feature for honing in on your audience. Enter some likes and interests that customers of your business would line up with. For Brittany’s Best, we chose “Arts And Crafts”, “Crafts” and “Jewelry”. The Estimated Reach meter on the right will show you how many Facebook users could potentially see your ad. You may see better results from targeting the ad to a specific group, but it could limit your reach. The Campaign options are where the wallet comes into play. First you’ll want to set a budget – either a daily budget that you’re willing to spend, or a lifetime budget ($30 is the minimum lifetime budget, daily budgets can be as low as $1 per day for 2 days or more). Choosing which budget to go with depends on what sort of money you’d like to spend to experiment and how long you want to ad to run. Rest assured that you can always change this later if you want to extend your ad. The Pricing selection is probably the most confusing if you haven’t dabbled in the advertising world before. 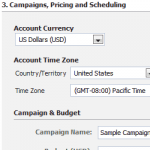 You have the option to Pay for Impressions (CPM) or Pay for Clicks (CPC). Impressions are how many times your ad was shown to someone on Facebook. That doesn’t mean they clicked on it or even noticed your ad, but simply that Facebook displayed it on the page. CPM stands for Cost Per Mille (that’s thousand in Latin) – every time your ad is shown 1,000 times, you pay a certain amount. 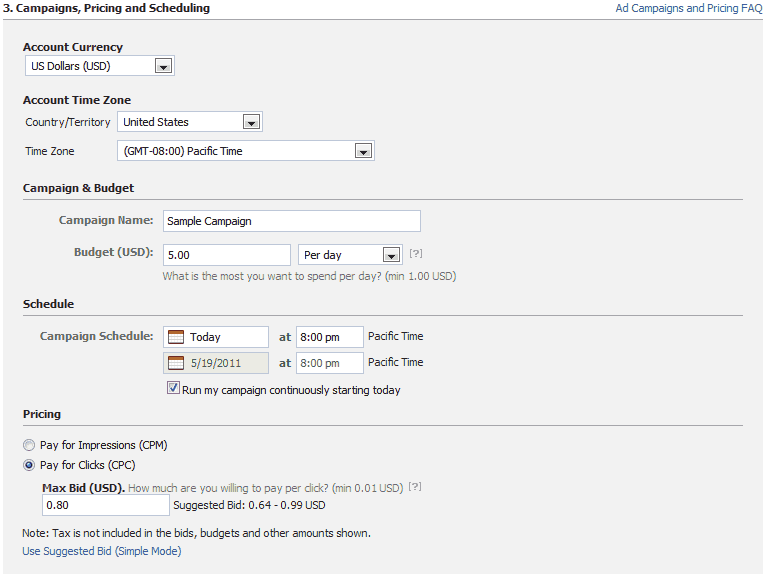 The other option is Cost Per Click; with CPC, you pay a certain amount when someone actually clicks on the ad. Cost Per Click is usually the right option for Etsy shops and other business hoping to get fans and build a following, since it demands that someone takes interest and performs an action before you get charged. CPM is more useful to raise awareness and brand recognition for a product or company that doesn’t require a user action; if Pepsi advertised a new drink they’d probably want CPM since clicking the ad is less important than simply being aware of the new product. After creating my Facebook Page, I found it difficult to promote the page and get people signing on as fans. I decided to give Facebook Ads a try – mostly because advertising on Facebook ensured that people were already logged in and only one step away from Liking my page! I chose the lifetime budget and the $30 minimum just to see where it would get me. My goal was to get more exposure to a new audience and getting more people to Like the page as fans to get updates on my website and Etsy creations. The Facebook Ad creator suggested pricing that was higher than I wanted to pay for CPC, so I manually set it to 5c per click. This turned out to be far too low, since the Bid is compared against other advertisers in an auction-like manner to see which ads would be run on the site. I went several days without the ad being shown to anyone before I adjusted the bid to 50c per click. At last, I started to see some action! After running the ad for two weeks, I’d gone through $24 of my $30 budget and the results were nearly 75,000 impressions and 65 clicks. Less than 10% of 1% of the users exposed to my ad clicked on it! On the surface that seems like a pretty bad number, but I found that the clicks corresponded almost equally to new fans on the page. I had just about 65 new fans, so the clicks I paid for had a very high return. Since my goal was to get a bigger audience, rather than make Etsy sales, I wasn’t disappointed that all the exposure turned into a goose egg (0) when it came to sales. If direct sales are your goal, it may be more beneficial to target the ad to your Etsy shop rather than a Facebook Page. The money I spent on Facebook Ads could definitely have gone towards relisting my items on Etsy, but that wouldn’t have produced the nicely swollen head I got from so many new Facebook fans! Overall, I’d recommend Facebook Ads for sellers looking to gain more attention and a fan base on Facebook. I’ll certainly consider doing it again after my next craft show! Cover image by mkhmarketing on Flickr. This is great stuff. I am not ready for this yet – hence the Etsy team I started but will deffo be back when I am . Cheers!